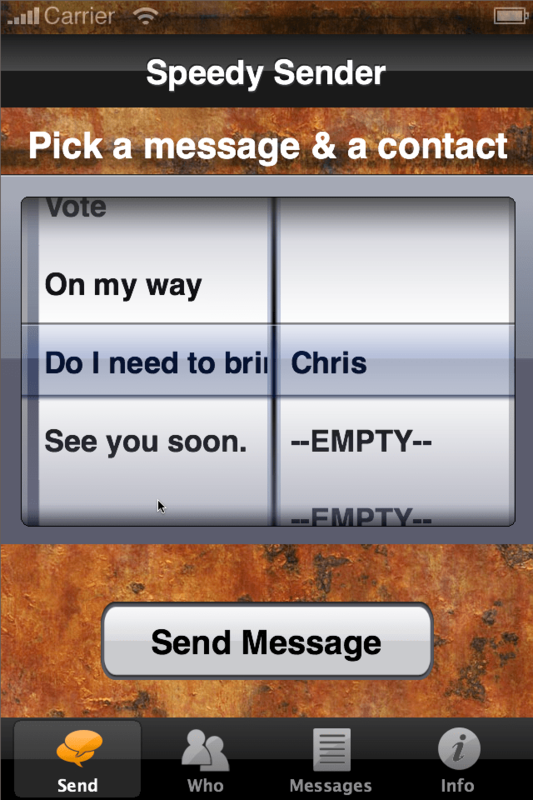 Speed Sender is a quick way to send pre-written Text messages to a short list of people who you send to often. From sending your spouse your “I’m on my way” message to voting for your favorite artist on your favorite reality talent show, like American Idol, you won’t find a faster way to send pre-written text messages. Version 1.6 adds support for your device’s contact list so you can select the people to send to from your existing contacts.